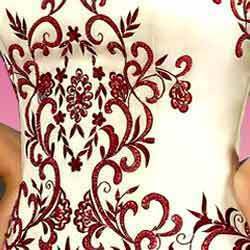 We are also specialized in different color applique work on net. Embroidery embellishes a fabric. It has been around for generations. 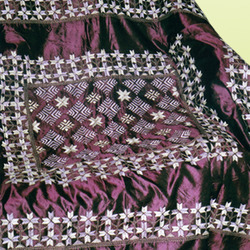 Long associated with royalty, Hand-embroidery and Eyelet embroideries were the privileges of a chosen few. As technology took over human lifestyle, embroidery has come within easy reach of a common man.